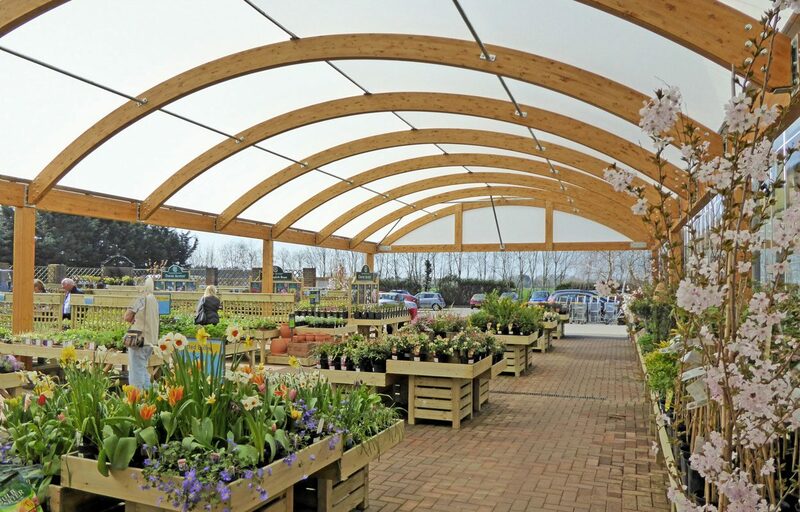 Timber canopy provides additional revenue streams. 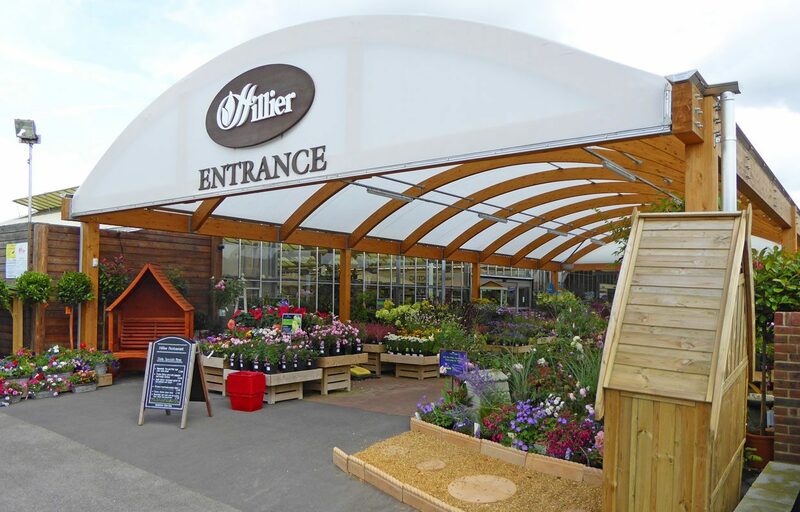 Hillier Garden Centres, determined to make sure they adapt to ever-changing market dynamics and maximise retail space, commissioned no less than seven canopies from Fordingbridge. Here we can see one instalment utilising glulaminated timber frame to create an additional external sales area to extend revenue streams. The stained light oak structure is clad in an Opal 60 fabric roofing solution which has been developed exclusively for Fordingbridge. 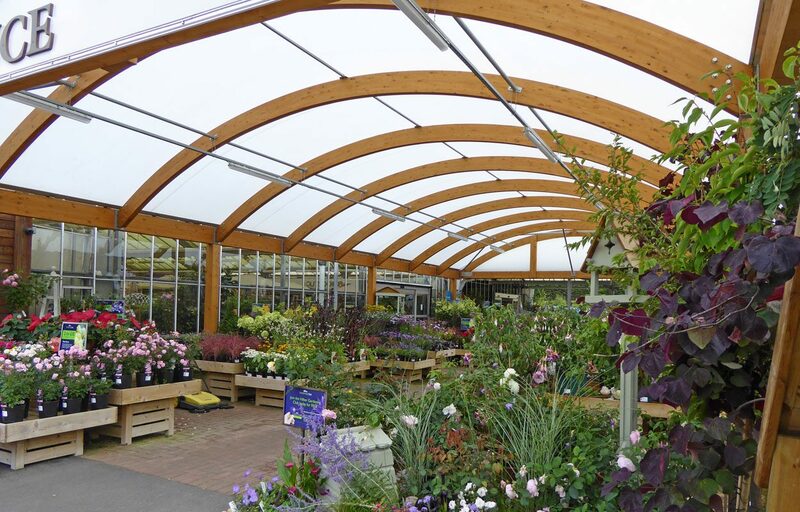 The PVC technology is ideal for areas where higher light levels are required and has a 10 year guarantee. 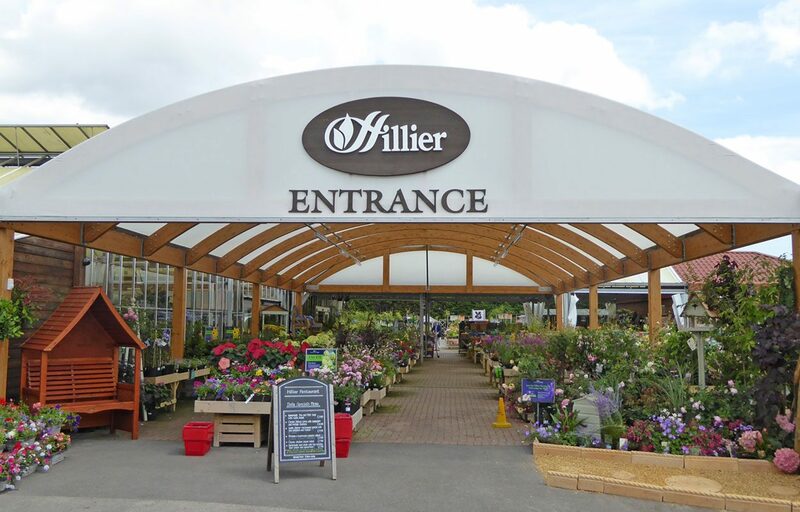 This project also contributed to Fordingbridge being chosen as Contractor of the Year for Hillier! View more information on the award here.